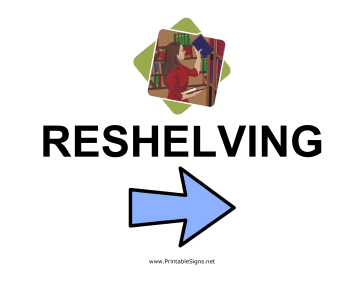 Do you offer a reshelving area in your library? If so, you can help people find where to put their books by using this sign with right-facing arrow. This can help reduce misshelved books in the long run!